Well-known British Gospel singer Claudette Schlitter tells her remarkable story. The story of her search for love. 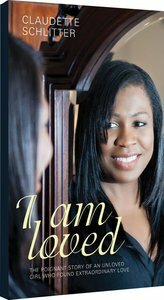 For many years Claudette hid her true self from family and friends, until in the end the secrets of the past and her battle with an eating disorder threatened to destroy all that she had worked for. She began a search for true love and hoped for a happy ever after, only to find that more tragedy than she could ever imagine was coming her way. Finally she found the strength to face her past and the courage to tell her story. Claudette's story will inspire you as you read of her remarkable journey of faith against the odds. Never giving up on the belief that somewhere out there was someone who loved her, she finally found that someone but in the most unexpected way. Claudette 'Cee' Schlitter is a well known singer/songwriter from Birmingham in the United Kingdom. She is married to Michael and they have two children, Chloe and Joshua. Having studied theology for three years at Mattersey Hall Christian College in her twenties, Claudette continued in ministry, singing and encouraging others for over twenty years. In 2003 Cee and her husband, set up Vocal Spirit and JoClo Family Music and released her first album which was distributed worldwide through Authentic Media. The CD, Hardest of Times contained the phenomenal track 'God Can' and it became her signature song. In 2006 she released her second album entitled Your Goodness which was again distributed and played worldwide. Cee has been the guest of many ministries including Spring Harvest, Women's Aglow Conferences, Baptist World Conference, Assemblies of God Conferences, AOG Ireland Ministers Conference and many more. She has ministered to thousands of people in churches and events around the country, singing, speaking and encouraging people at conferences, churches and meetings around the world. She has performed on television, and is played regularly on BBC local radio stations, gospel broadcasts, Premier Christian Radio, Cross Rhythms, UCB and stations around the world. She and her husband support the charity Anorexia amd Bulimia Care and she is an Artist Ambassador for World Vision.